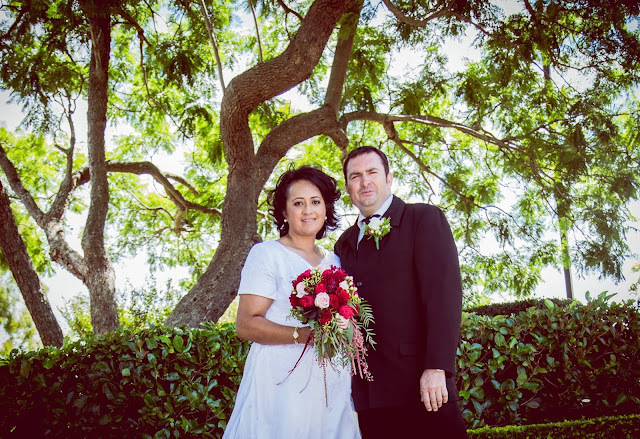 Today I wanted to share these gorgeous wedding flowers Jules conjured up some time ago now. 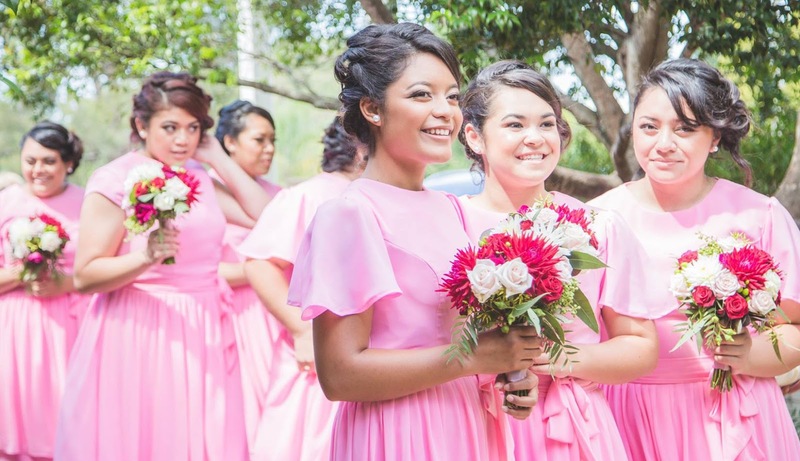 There's no shying away from the pink wedding trend here. I just adore these colour combinations so much - bespoke greens and blush pink, deep maroon, hints of white and woodland elements too. It takes a courageous bride to play with deeper colours like cranberry, but when they come together this well, the result is simply stunning - a rich warmth, sensual tones and dramatic hues add real beauty to the day. 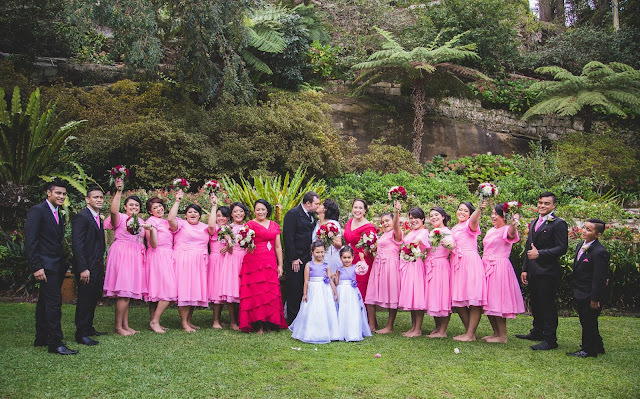 Here are a few bridal party photos from Marlene and Travis' special day (loving that whole tribe of bridesmaids!) taken in Lisgar Gardens, Hornsby.